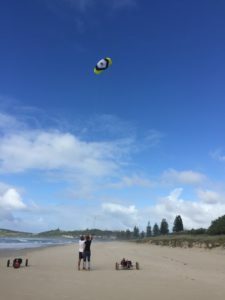 Kite buggying is a land based sport and can be adapted to everyone young or old, experienced or not. 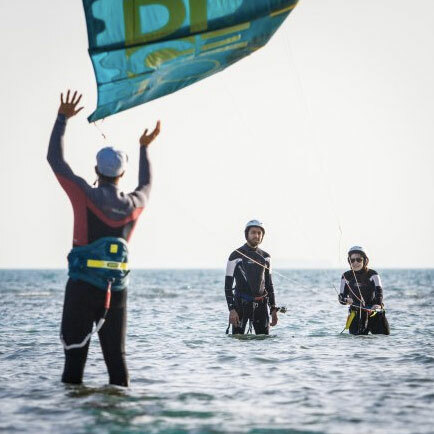 This is a wonderful activity for those people not wishing to get wet and or build up your confidence before tackling the water. 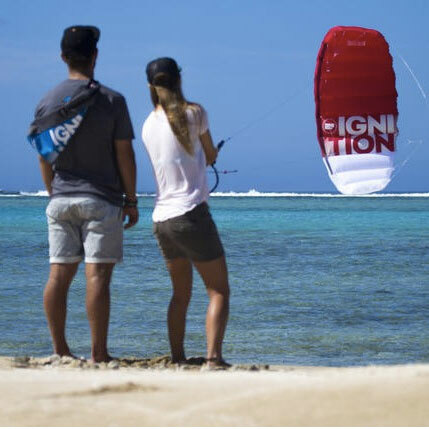 Experience the thrill of flying the kite and driving the Buggy together along the beach in a big open space. The basic principles of kite buggying are easy to grasp with basic kite control. 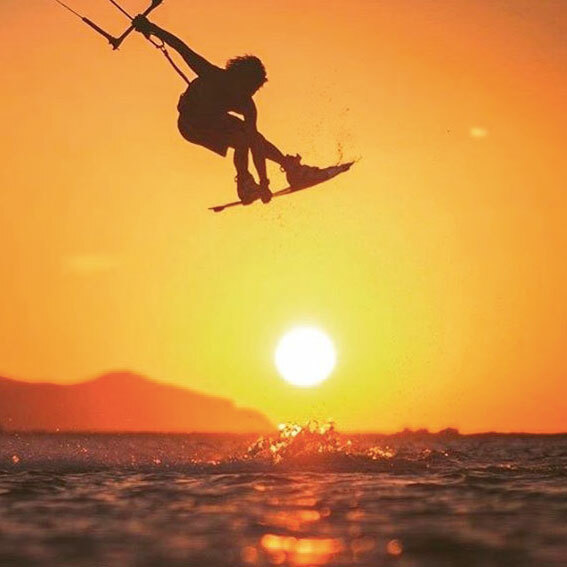 A lot of technical theory is not required. The front wheel is steered by the pilots feet leaving the hands free to fly the kite which pulls you along. A kite buggy is a light, purpose-built cart powered by a kite. 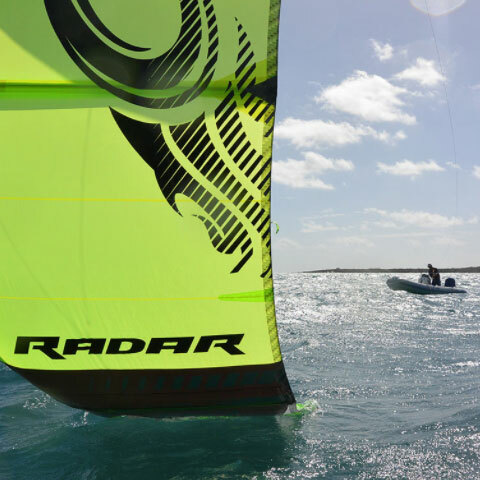 It is single-seated and has one steerable front wheel and two fixed rear wheels. 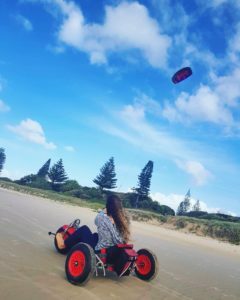 The driver/flyer sits in the seat located in the middle of the buggy and accelerates and slows down by applying steering manoeuvres in coordination with flying manoeuvres of the kite. This is kite buggying. 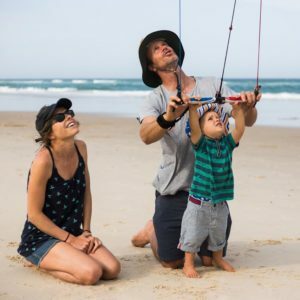 It is advised that you have some experience Flying the kite before you take on the Buggy, you can start with a Trainer Kite lesson or a regular Kite Lesson. Please call us for any queries you may have.